Featuring a 80mm PWM fan, pre- applied MX-2 and a unique heatsink, the Alpine 11 GT lowers the CPU temperature efficiently in quiet operation. With such high performance, the Alpine 11 GT is certainly the must-have cooler for your new CPU. AMD Socket AM3, AM2 , AM2, 939, 754. The Alpine 64 GT is quiet, efficient and cost-effective. 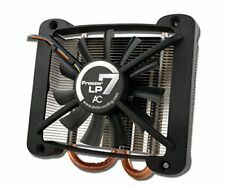 It incorporates an 80mm PWM fan, an optimised heatsink as well as pre-applied MX-2 for efficient heat transfer from the CPU. AFACO-080P0-GBA01 Arctic F8 PWM Case Fan - 80mm - AFACO-080P0-GBA01 (Components > Cooling Fans Modding). 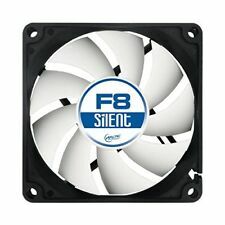 The ARCTIC F PWM fans outerperform other 80mm/92mm/120mm fans in the market. High Performance Case Fans with PWM Sharing Technology. A rare barn find in our warehouse. New boxed and sealed. • 6 Years Warranty. • Light Weight, Transport Save. 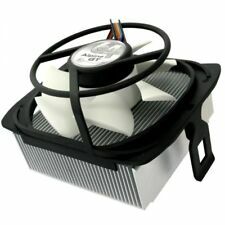 What could be more natural than to replace the annoying against a quieter coolerheatsink. 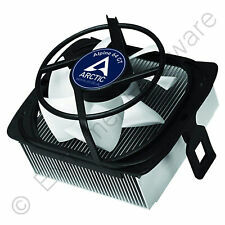 With the new CPU cooler from Arctic Cooling Alpine 64 GT is this project a breeze. Remove the old radiator and then install the new compact cooler. 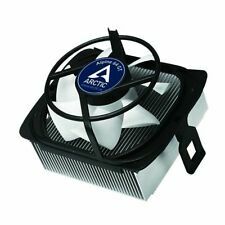 ARCTIC is a leading manufacturer of silent PC coolers and components and has initiated and sustainably influenced the trend towards quiet cooling systems. For more than 15 years ARCTIC stands for comfortable computing, excellent service and personal support. AMD Graphics Cards. AMD Motherboards. Supported processor sockets Socket 754, Socket 939. 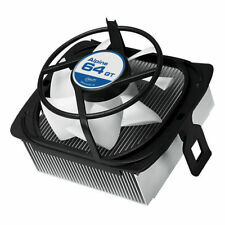 Alpine 64 GT AMD Socket 754/939 CPU Cooler. CPU Coolers. Compatible processor series AMD A, AMD E, Athlon, Athlon II X2, Athlon II X3, Athlon II X4, Phenom II X3, Phenom II X4, Phenom X3, Phenom X4, Sempron. Arctic alpine 64GT Rev.2. The Alpine 64 GT is your choice - quiet, efficient and quickly installed! 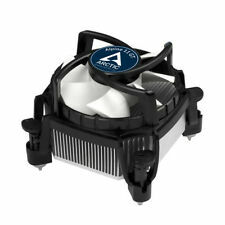 The ultra-quiet 80mm PWM fan and an optimized heatsink give the Alpine 64 GT the best price / performance ratio.